Jaipradeesh Janarthanan for clearing out a huge backlog of about 80 apps that were submitted to the tarako Marketplace. FYI: The Internet and Mobile world expo last week was a massive success. 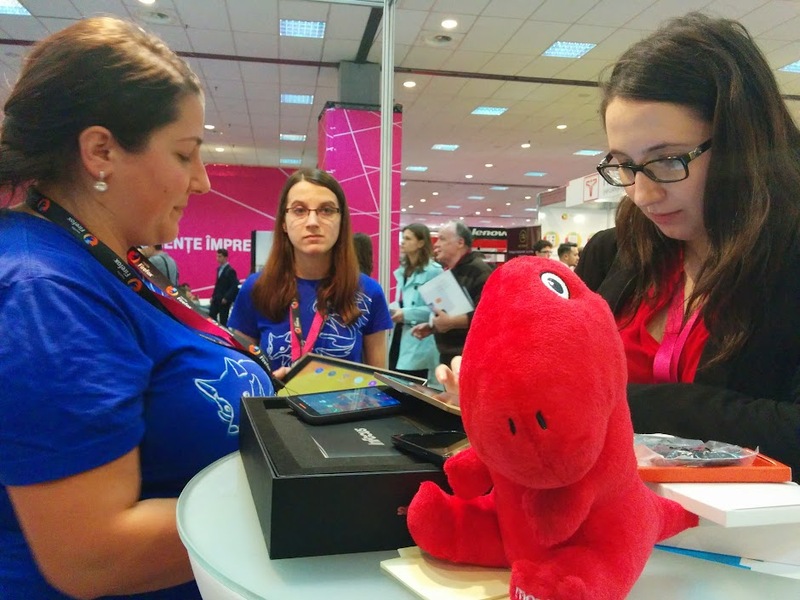 According to the organisers the Romanian community was amazing to work with and we were the most professional and not "sales" booth showing off both Flame devices and tablets and answering a lot of people's requests. We also managed to get a 3D photo scanning company excited about MozJPEG and Chris Heilmann's presentation on mobile trends and future was standing room only. The following speaker training hints at some great talks by reps coming from Romania soon. A massive thank you to the Romanian community for all their efforts. The Portland cohort of the Ascend Project wraps up this Friday. 18 people are completing the 6 weeks of accelerated learning how to make open source contributions and have dived in to several areas of Mozilla. There will be closing presentations this Thursday and Friday on Air Mozilla. Thank you to Community IT for their amazing work on the Mozilla Guides project! Oct 16 - 18, Paris-Web, Paris France: Tristan Nitot and Julien Wajsberg will be speaking at this Francophone conference for people who make the web. Ascend Project final presentations on Air Mozilla starting at 11am Pacific time. Monthly get-together where webdevs across the community show off their side projects. Oct 23-24, San Francisco: PhoneGap Day US http://pgday.phonegap.com/us2014/ - pls help spread the word! 3 continents, 12 smartphones, 13 operators, 24 countries: Firefox OS is now available on three continents with 12 smartphones offered by 13 operators in 24 countries. Three ultra-affordable smartphones recently launched in India and Bangladesh and a forth is on the way. Telefónica has had recent launches in El Salvador, Panama, Nicaragua and Guatemala and Deutsche Telekom launched the first Firefox OS devices in the Czech Republic and Macedonia. There's much more over at the Mozilla Blog. Zen Mobile has announced a low cost mobile phone for India available later this month. Zen Mobile is fourth vendor to sell ultra-affordable phones based on Firefox OS in India. The price is expected to be about $32. Gaia crossed 25,000k pull requests in GitHub. We have 6 first time committers to Gaia and Gonk this week! Schedule Reminder: 2.1 Feature Complete (FC) is today. Any assistance on remaining blcokers for 2.1 greatly appreciated. As noted last week and the week before, we've ended development on JellyBean-based Gonk for the Flame and as of 1072111, Mozilla is no longer producing Flame JB builds for B2G 2.0 and newer. The limit is 3 minutes per speaker. It's like a lightning talk, but don't feel that you have to have slides in order to make a presentation. If you plan on showing a video, you need to contact the Air Mozilla team before the day of the meeting or you will be deferred to the next week. Andrea Zingerman HRIS Analyst Jobvite New UI Mountain View No http://bit.ly/ZTBPYz Watch for an upcoming email! Do you have a question about a Mozilla Project or initiative? Let us know by Friday- we'll do our best to get you an answer. Please note that we may not always be able to get to every item on this list, but we will try! What's your name? What do you work on? Is your question about policy, a product, a Foundation initiative, etc. What would you like to know? Who is the new volunteer(s)? Who will be introducing that person? Where is the introducer? Where is the new person based? What will the new person be doing? This page was last modified on 13 October 2014, at 18:29.